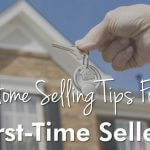 So you’re looking to buy a home, and you’ve narrowed down your searches to a handful of houses. Luckily, these houses are all having open houses for you to attend, but what exactly do you look for? Are there certain things that you should keep your eye out for, and others that you should just gloss over? Well, we have the answer to these questions and more in our latest blog! When it comes to open houses, one of the biggest keys is having a plan. Plan to get to the house on time, and set aside ample time in the afternoon to look at the house. 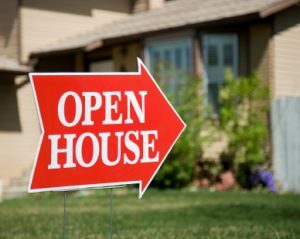 Generally speaking, you want to have an hour for each house, so feel free to set aside a Sunday afternoon to do all your open houses at once. Once you have that all set, you’ll want to keep in mind all of the things you should look out for once you get into the house. 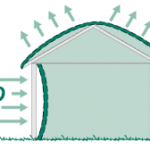 In the house, be sure to look out for these things: layout, privacy, and exterior. Layout is exactly what it sounds like: how the house is laid out. Sure, you can change furniture configurations, but know in the back of your head that you will generally not be able to make monumental changes to the room layout. Privacy, on the other hand, correlates to how much privacy you will have for each room. Say you walk into the bathroom—try to peer out the window to see if you can see a neighbor’s house, or peer into their window. Do this for all rooms in which you wish to have some privacy, because a neighbor’s window peering right into your bedside may make you feel uncomfortable after the purchase. Finally, check out the condition of the exterior, both of the house itself and the landscaping around it. These are things that people often glance over, which can prove to be a deal maker or breaker if noticed during the open house. Lastly, we would like to add this simple tip: be politie to the owner. Greet them upon walking in, ask before taking photos, refrain from digging through their personal things, and finally save your criticisms until you leave. If you adhere to all of this, you may have a much easier time at the negotiation table—and it is also just common courtesy. Open houses are an important part of the home buying process, so it pays off to be informed before you go into them. For more tips, or to find an open house to tour yourself, give us a call today!